Yoga during pregnancy is a gentle form of exercise, helps ensure optimum foetal positioning to ease back aches and facilitate an easier birth, and teaches you ways to help you relax, reduce anxiety, make space and keep you fit and flexible during your pregnancy. 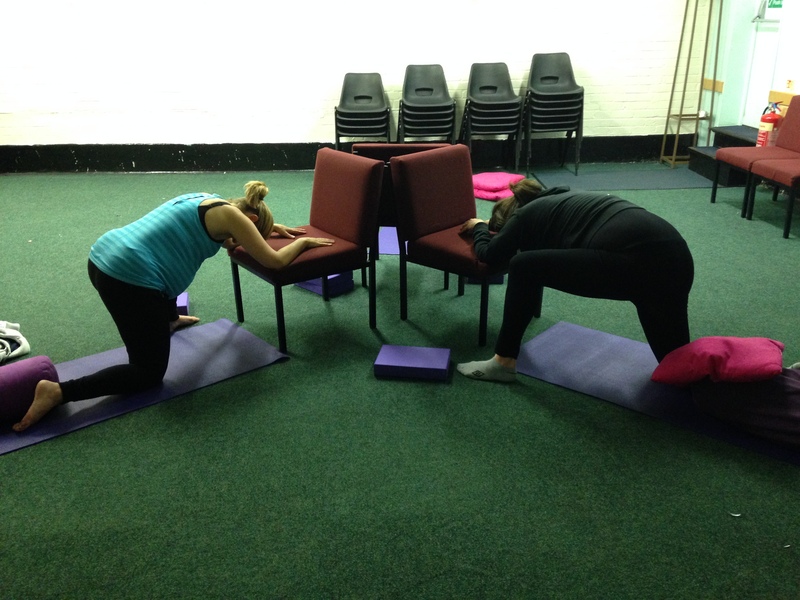 We prepare for labour and birth using postures, adapted sequences and breathing techniques. Even if you know you are planning a caesarean birth, these classes are beneficial through easing discomforts, baby bonding, keeping fit and making friends, which are natural side-effects of these nurturing classes. 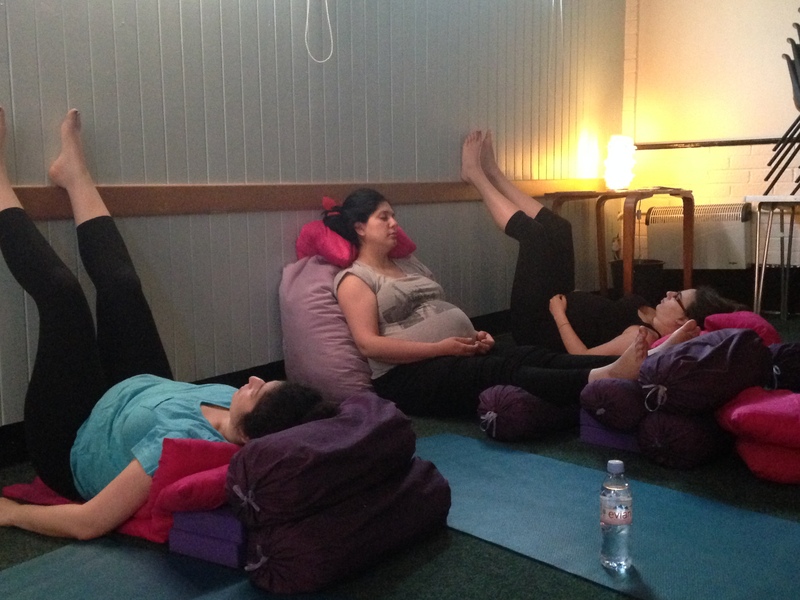 Relaxation techniques are important in pregnancy yoga classes, and a lot of focus is on the breath. 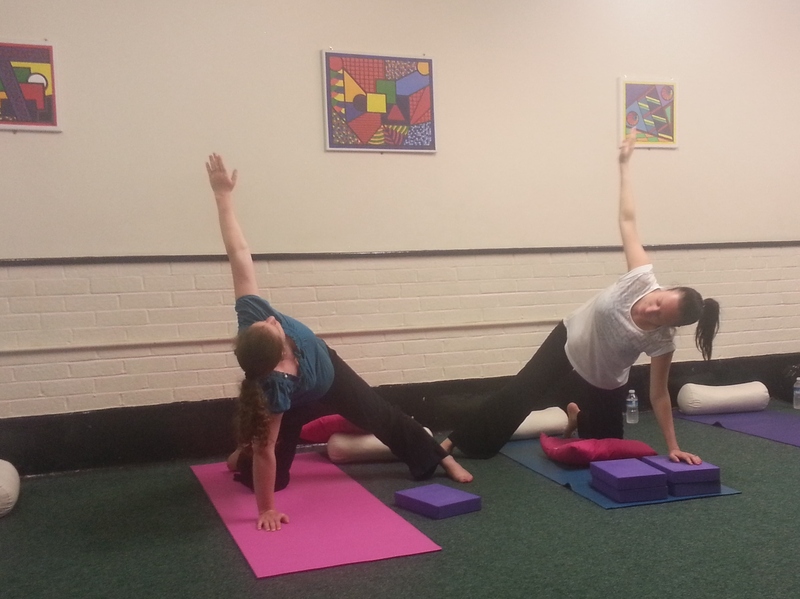 You do not need to have any former experience of yoga to join these classes. All mats, cushions and blankets are provided but please feel free to bring anything of your own, if you prefer. Please wear comfy, layered clothing and bring a bottle of water to keep hydrated. Drop in is available if you have less than five weeks to your due date. Please see below. Each BLOCK booking includes a free mp3 meditation for pregnancy. Pay for your chosen course or classes. Please consider our private classes and couples workshops designed to take place in your own home. No Replies to "Pregnancy yoga classes"